We are speaking to Julia and Rebecca from The Drama Hut and finding out all about what they can do to help add value to your latest history topic. "We spend time writing well-structured sessions to help enhance learning in the classroom. 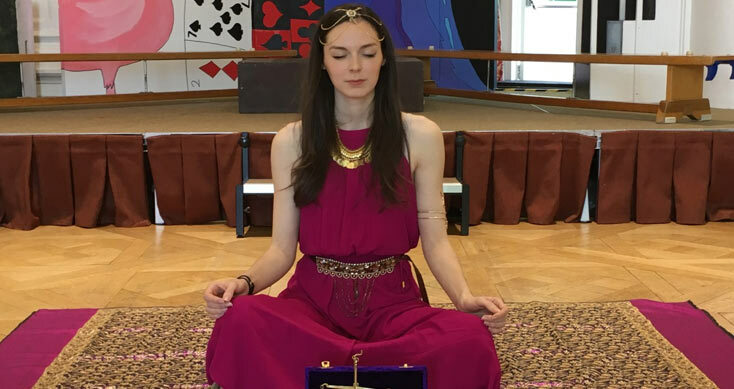 We employ professional actors with performance experience, who together, with help of being in costume, take the children on a journey to a different time and place. We regularly watch our sessions on site, to ensure that best practice is being met and often make changes and improvements based on our own observations and constructive feedback from teachers which is sought after each session. How much involvement do the students actually have when they are taking part in your workshops? "Plenty! We think it is incredibly important that the children are physically involved as much as possible during one of our sessions, with minimal time spent sitting and listening. They are up and at it more or less from the start. Do you feel that students are more engaged with their learning if they start out with a workshop to introduce them a topic? "Absolutely! This way children get to 'experience’ the period and start their learning with real energy. However, it can be equally beneficial to run a workshop during, and at the end of the topic, as this not only helps embed knowledge, but gives the children an opportunity to share what they know and get lots of positive praise for doing so! Do all your workshops involve drama? Why do you think this is so effective when delivering workshops? "Yes all our workshops are drama based. The children get the opportunity to act, improvise, role play, sing and sometimes even dance! We believe that if you 'do and enjoy', you 'remember and learn'. What topics / subjects do you run workshops for? "Everything from The Stone Age and The Ancient Egyptians up to WW2 and The Suffragettes. We also have a few extras, such as Creative Writing, Around the World and A Victorian Christmas, to name a few. Can a teacher talk to you about specific learning outcomes and can you tailor their workshop to suit the specific topics they are learning at that time? "Yes, absolutely. 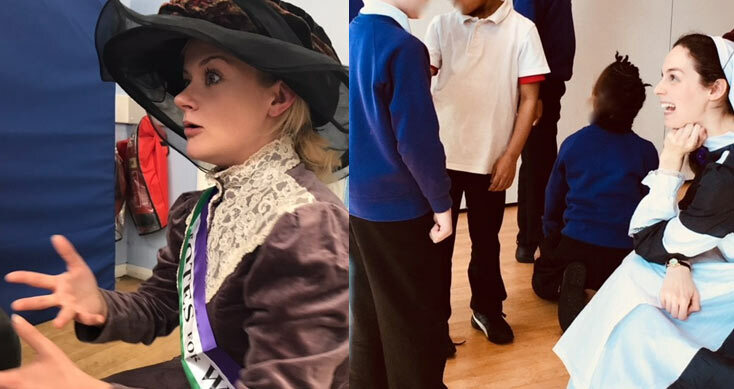 A few of our sessions came out of developing sessions specifically for schools, such as The Suffragettes, Around The World, Creative Writing and A Victorian Christmas. Can you deliver sessions where you can deliver cross curriculum learning objectives? 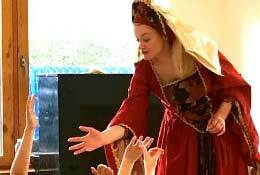 "Yes, all the sessions deliver cross curriculum learning, that's the beauty of drama. If a teacher is looking to take a class out of school to a local venue, why should they think of bringing in a workshop in instead? "Any opportunity for children to go outside of the school environment on a visit, is both a valuable and exciting part of school life and should be encouraged. However, bringing an experience into school, is possibly a favourable and perhaps a more cost effective option, at a time when budgets are tight, with barely enough teaching hours to fit an increasing curriculum. The time and resources alone saved on travel and extra staffing which is required when taking children out of school, may be a useful consideration when looking for an activity. All we require on the day is a large space to work in and just one member of staff to be present and our actors will do the rest. There is certainly room for both options, it really depends on a school’s needs, budgets and nature of experience. Is there an optimum time that your workshops last or does it depend on topic? "Our standard workshops last from 60 - 90 mins, however we often extend sessions to a morning or an afternoon. It really depends on the schools needs and the number of children we are to work with. If a class gets to do an extended session, they have an opportunity to work on a short performance, which is always lovely. Are you workshops best suited to KS2 or can you deliver top other key stages? 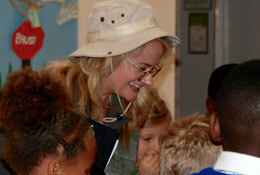 "Our workshops are suited to KS1 and KS2. We have also, on the odd occasion, been asked to deliver to lower KS3, which has been successful, this however would be dependent on the topic. We often deliver the same session across the whole school: working from reception or Year 1 to Year 6. Here we adapt the session to suit each year group, so although all the children will be taking part in a Roman workshop, the year 1 children will be getting a different experience to year 6! Have you got any new workshops planned for 2019? 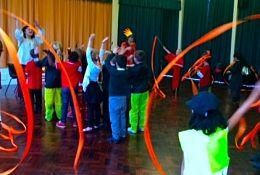 "We are always keen to extend our portfolio and often take the lead from valued schools who request topics in their curriculum not currently available that they would like to see developed into a drama workshop. All suggestions are welcome! What are your favourite workshops that The Drama Hut provide and why? "We love all our sessions of course! We are particularly fond of WW2, led by a character called 'Polly',a mother of children who have just been evacuated to the country, who manages to capture the wonderfully strong morale back home during this period. I also like The Stone Age. It was particularly difficult to write, so we felt a real sense of achievement, as feedback has been so good! It also has a hilarious section in it where the children explore how Homo Sapiens may have communicated! The workshops are all so different, it is difficult to choose a stand out favourite, all contain a lot of humour which we enjoy writing and feel is an essential component for any age group! Are all of the facilitators that deliver your workshops real trained actors? "Yes, all our facilitators are trained, professional actors with TV, Theatre and Radio credits to their name! What areas of the country can you deliver workshops too? "London and Home Counties, Midlands, Manchester and some parts of Yorkshire. We are expanding our reach so suggest that teachers email their postcode and we will do our best to get to you! How easy is it to arrange a workshop into schools, what support do you give to teachers looking to book a workshop with you? "Its really easy and we support teachers all the way through the process. We pride ourselves on being able to provide a more personalised experience, something that perhaps larger companies are not able to do. If you are interested in hearing a bit more about how The Drama Hut can help you with planning your next Workshop then why not get in touch here. The Drama Hut brings on-site workshops directly to your school, covering a wide range of curricular topics. 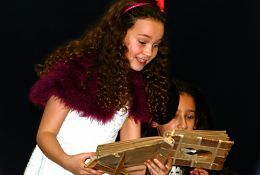 Through drama, improvisation and role play let us create a unique learning experience for your school. Travel back in time with our actor in role, the enthusiastic archaeologist Sally Spade, in order to explore this fascinating prehistoric period, discovering how it developed from the chaotic to the domestic. Have an actor in role come and bring this subject to life. During the workshop, the children will meet POMB ( Princess of the Mini Beasts!) and travel to storyland. Help her to break the spell that has been put on her garden by a terrible witch. Enthusiastic writer, Sally Spade, is keen to share her love of his stories; With the help of the well-known and much loved writer Roald Dahl, she takes the children on a journey of discovery of storytelling with this highly interactive workshop. Meet Thomas Farriner, the King’s baker, from Pudding Lane, who survived the fire to tell the story of what happened during those fateful days. Discover with help from him and later Samuel Pepys, what it was like to Live in London during this time.